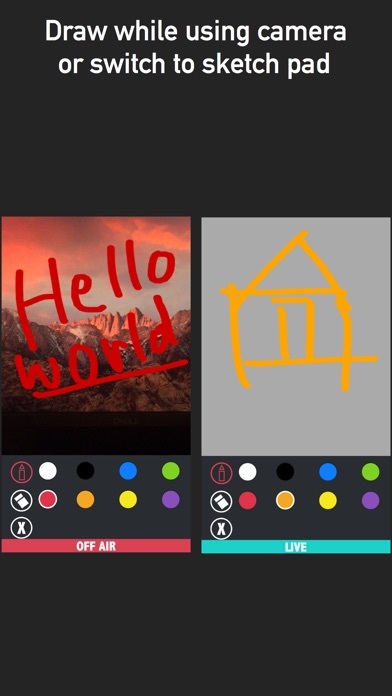 This app records your screen and allows you to play music, draw on the screen, turn flash on or off, and much more. 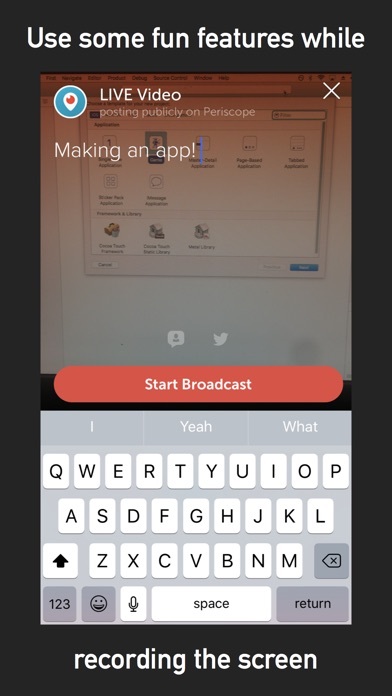 Also a secondary feature allows you to use Periscope or Mobcrush to record the screen live while using these great features for only $0.99! 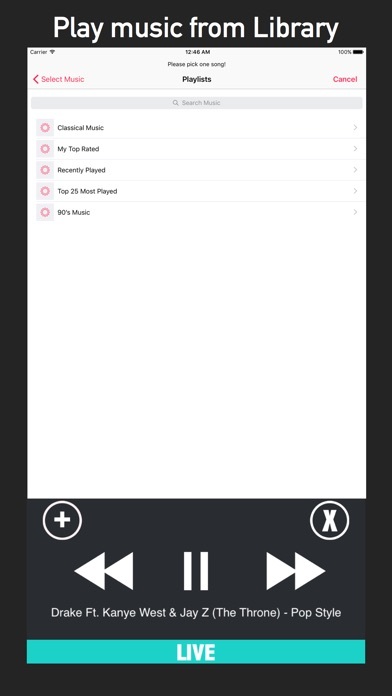 FEATURES •••Record screen •••Or use either Periscope or Mobcrush to broadcast the screen live •••Draw on the screen •••Ability to turn the flash on or off whenever you want •••Show current location •••Change from the front camera to the back with the touch of a button •••Can turn camera off and draw on sketch pad •••Play music from your music library •••Use the mic to provide commentary •••Comes with auto focus •••Also can zoom in and out by pinching the screen •••Can watch replay of recording in the Periscope app •••Really easy to use interface. 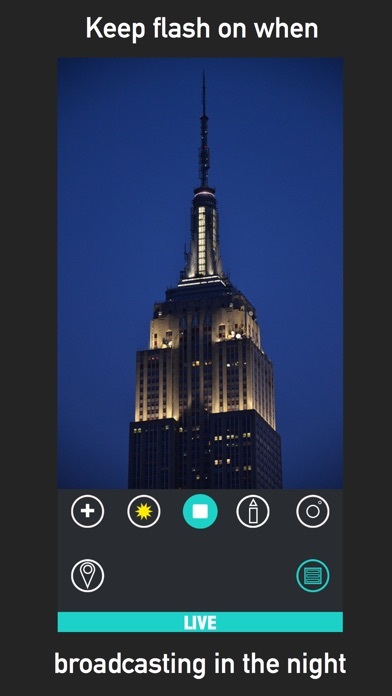 Can only record INSIDE of the app. Once you leave the app it will not record the screen!!!!!! Requirements: Requires iOS 10.0 or later. Compatible with iPhone 5s, iPhone 6, iPhone 6 Plus, iPhone 6s, iPhone 6s Plus, iPhone SE, iPhone 7, iPhone 7 Plus, iPad Air, iPad Air Wi-Fi + Cellular, iPad mini 2, iPad mini 2 Wi-Fi + Cellular, iPad Air 2, iPad Air 2 Wi-Fi + Cellular, iPad mini 3, iPad mini 3 Wi-Fi + Cellular, iPad mini 4, iPad mini 4 Wi-Fi + Cellular, 12.9-inch iPad Pro, 12.9-inch iPad Pro Wi-Fi + Cellular, 9.7-inch iPad Pro, 9.7-inch iPad Pro Wi-Fi + Cellular, and iPod touch (6th generation). don't waste your money on this app!!! I have an iPhone SE and it wont work it just records the camera! Waste of 0.99. Whenever I try to record the screen it just says "please make sure your device supports ReplayKit!" like WHAT?!?! What do I do?! Please help! 😭😭😭 Edit: Nvm it's because o have an iPhone 5....those are getting out dating aren't they? I like all the features that are in this app like being able to draw on the screen while broadcasting live and turning on the flash. Really simple and easy to use UI. DOES NOT RECORD SCREEN!!! WARNING!!! Only app that says RECORD SCREEN CLEARLY... and does not do that!!! Only reason why I bought it and I do not care about any other feature... I am asking a refund for false advertisement and I can not believe Apple allow this kind of rip off... very disappointing!!! Says "record screen" which is a lie it only records the app screen they need to explain that in the features. Says Screen Record in the title but it doesn't do that at all. 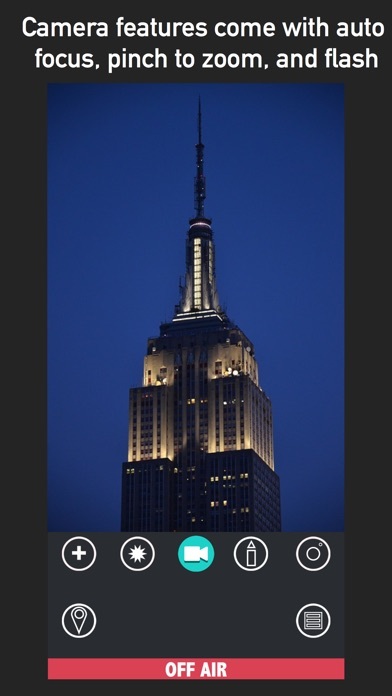 It's a video camera, like the one my phone already has, but it lets you edit the color and draw on the video. Not sure why this says screen record because that's very misleading. Review update: Response from the developer, "The app works fine and allows users to record the screen inside the app while using the camera and other functions. You clearly didn't read the description and probably only read the title before buying. Please remove this review. Thank you!" It's great that I can record the screen INSIDE the app itself but I was hoping to record screens inside other apps to create a sales demo. I stand by my original review that I should have read the description better before buying this app. In other words, I should have read between the lines more. I bought this thinking I was getting a screen recorder. Name and description are misleading !